1. This is an appeal against the order of His Honour Judge Yelton in the Cambridge County Court giving judgment for the respondent, Mr. Dawson, against the appellant, Thomson Airways Ltd (“the airline”), in the sum of £1,488.73. Although the amount involved is small, the principles to which it gives rise are of considerable importance to airlines and passengers alike. It was for that reason that the judge gave the airline permission to appeal and directed that the appeal should be heard by this court. 2. The claim arises out of a delay to a flight from Gatwick to the Dominican Republic in December 2006. Departure was delayed by crew shortages caused by sickness and the flight eventually arrived at its destination over six hours late. Mr. Dawson sought to recover from the airline the amount of €600 per person which under EC Regulation No. 261/2004 is payable as compensation for a flight of that length. ​3. Mr. Dawson began these proceedings in December 2012, just before the six year limitation period under section 9 of the Limitation Act 1980 expired. The airline accepted that it would have been liable to make the payment if he had brought proceedings in time, but argued that the claim was out of time and had been discharged by virtue of the two year limitation period contained in article 35 of the Montreal Convention, which governs the liability of carriers by air. 4. The Montreal Convention of 1999 is the successor to the Warsaw Convention of 1929. As was its predecessor, it is an international treaty designed to implement a comprehensive regime governing the liability of carriers by air. 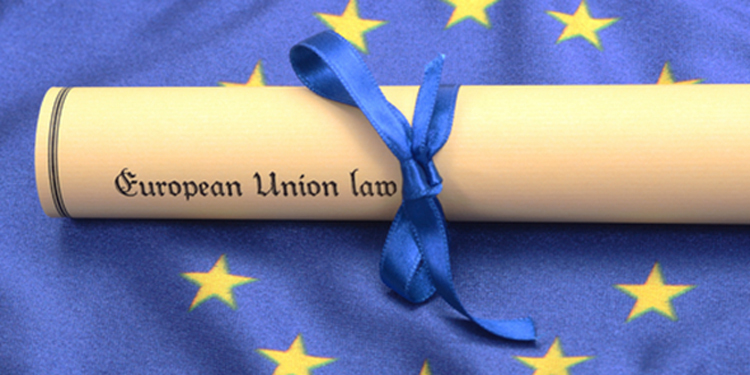 The European Union is itself a party to the treaty, which has been given the force of law throughout the EU by EC Regulation 2027/97 (as amended by EC Regulation No. 889/2002) and has thus become an integral part of the Community legal order. In the United Kingdom the Convention has the force of law by virtue of Regulation 2027 in relation to Community carriers and by the Carriage by Air Act 1961 (as amended) in relation to other airlines. ​The carrier is liable for damage occasioned by delay in the carriage by air of passengers, baggage or cargo. . . .
1. In the case of damage caused by delay as specified in Article 19 in the carriage of persons, the liability of the carrier for each passenger is limited to 4,694 Special Drawing Rights [about £4,000]. . . . In the carriage of passengers, baggage and cargo, any action for damages, however founded, whether under this Convention or in contract or in tort or otherwise, can only be brought subject to the conditions and such limits of liability as are set out in this Convention . . .
​8. It was common ground that the principles to be derived from the speech of Lord Hope (with whom the other members of the House agreed) apply with equal force to the Montreal Convention. The decision has since been followed and applied on many subsequent occasions, both by the House of Lords and by many other courts in different jurisdictions, including the United States Supreme Court in the case of El Al Israel Airlines Ltd v Tseng 525 US 155 (1999). ​(iii) Article 6: that, if an airline reasonably expects a flight to be delayed beyond its schedules time of departure by two hours or more (depending on the distance of the flight involved), it must offer passengers assistance in accordance with article 9 and in extreme cases reimbursement in accordance with article 8. (iv) Article 7: that, where this article applies, passengers should receive a payment in compensation determined by reference to the length of the journey. ​10. Articles 4, 5 and 6 all concern events which affect the departure of the flight booked or (in the case of cancellation) prevent it from being performed altogether. In this context it is noteworthy that article 6, which deals with delay, provides for assistance of the practical kind provided for in article 9 and, in the case of a delay in departure of five hours or more, reimbursement. It does not provide for compensation for delay in arrival at destination, which remained a matter governed entirely by article 19 of the Montreal Convention. Loss caused by delayed arrival must be established in the usual way before damages can be recovered. 11. Since the European Union is itself a party to the Montreal Convention, it is perhaps no surprise that in R (International Air Transport Association (IATA)) v Department for Transport (Case C-344/04)  2 C.M.L.R. 20 the airlines challenged the lawfulness of article 6 of Regulation 216 on the grounds that by providing for practical assistance or reimbursement in relation to delay in departure it was inconsistent with articles 19, 22 and 29 of the Convention. The analysis of the Convention expounded in Sidhu might be thought to support that argument, but the European Court of Justice rejected the challenge on the grounds that articles 19, 22 and 29 were concerned with claims for loss and damage of a specific and individual nature and did not extend to the kind of loss and damage that is common to all passengers when the departure of a flight is delayed. The Court held that generic loss and damage of that kind could properly be made the subject of standardised redress in the form of refreshment, meals, accommodation and the opportunity to make telephone calls. In the view of the court the Convention was not intended to shield airlines from action by public authorities to redress in a standardised and immediate manner the damage constituted by the inevitable inconvenience caused to passengers by delay (judgment, paragraphs 43-48). ​12. Since article 6 of Regulation 261 was expressed to concern only delay in the departure of flights, the decision in IATA might be regarded at worst as making only a limited and rather modest inroad into the scheme of the Convention, but in Sturgeon v Condor Flugdienst G.m.b.H. (Cases C-402/07 and C 432/07),  2 All E.R. (Comm) 983 the court went a stage further. In each of the conjoined cases the claimants’ flight had been cancelled. In one case the passengers had been booked on an alternative flight which had been treated as a substitute for the original flight and the carriage had been performed under the original tickets. In the other, the passengers were booked on a flight operated by another airline and fresh tickets had been issued. In the former case the flight arrived 25 hours after the scheduled arrival time of the original flight; in the latter the flight arrived 22 hours late. Both sets of passengers sought to treat their flights as having been cancelled and brought claims for compensation under articles 5 and 7 of Regulation 261. In both cases it was said that the flight had been delayed rather than cancelled. 13. The European Court held that delay, however long, was not the same as cancellation, but that the principle of equal treatment required that the position of passengers whose flights were delayed should be compared with that of passengers whose flights were cancelled and that since both suffer similar damage in the form of loss of time they had to be treated in the same way. Passengers who, following a cancellation, are re-routed pursuant to article 5(1)(c)(iii) of Regulation 261 are entitled to compensation under article 7 if the carrier fails to arrange an alternative flight which departs no more than one hour before the originally scheduled time of departure and reaches its destination less than two hours after the scheduled time of arrival. They thus obtain a right to compensation in respect of a loss of time of three hours or more. In the view of the Court passengers who suffer a comparable loss of time by reason of delay to their flights must be treated in the same way. It expressed the critical part of its ruling in the following way:“(2) Articles 5, 6 and 7 of Regulation 261/2004 must be interpreted as meaning that passengers whose flights are delayed may be treated, for the purposes of the application of the right to compensation, as passengers whose flights are cancelled and they may thus rely on the right to compensation laid down in art 7 of the Regulation where they suffer, on account of a flight delay, a loss of time equal to or in excess of three hours, that is, where they reach their final destination three hours or more after the arrival time originally scheduled by the air carrier . . . .” (Emphasis added). ​14. Through the application of the principle of equal treatment, therefore, the Court by its decision in Sturgeon created for the first time a right to standardised compensation for delay in arrival which was recoverable in addition to any specific loss that could be shown to have been caused by that delay. On the face of it, therefore, the decision might be thought to conflict with articles 19, 22 and 29 of the Montreal Convention and indeed it was challenged on that ground in Nelson v Deutsche Lufthansa A.G. (Cases C 581/10 and C-629/10),  1 All E.R. (Comm) 385. However, the Court upheld and applied the decision in Sturgeon, holding that the loss of time inherent in the delay to a flight constituted an inconvenience within the meaning of Regulation 261 and could not be categorised as damage occasioned by delay within the meaning of article 19 of the Montreal Convention. The obligation to provide compensation for delay under article 7 of Regulation 261 was therefore compatible with the Convention. 15. The question of limitation arose for consideration in Cuadrench Moré v Koninklijke Luchtvaart Maatschappij N.V. (Case C-139/11),  2 All E.R. (Comm) 1152. Following the cancellation of his flight from Shanghai to Barcelona in December 2005 the claimant brought proceedings against the airline in Spain in February 2009 seeking compensation under Regulation 261. The limitation period under Spanish law was ten years, whereas the limitation period under the Convention is two years. The Court was asked to decide whether article 35 of the Montreal Convention or the Spanish law of limitation applied. It held that the time limit for bringing a claim under Regulation 261 was a matter for national law (in that case Spanish law), because the provisions for compensation contained in the Regulation fall outside the terms of the Convention. Regulation 261 provides a system of standardised and immediate redress for the inconvenience caused by delay and cancellation of flights which operates at an earlier stage than the Convention and is independent of it. ​16. It has been necessary to describe the development of the jurisprudence of the European Court in relation to Regulation 261 in order to explain the issues that arise in this case. The airline accepts that in the light of the decision in Moré national law governs the question of limitation, but it contends that the application of English law leads one straight back into the Convention with its two year limitation period. Although the English courts are bound to accept the European Court’s decision that there is a right to compensation for delay in cases of this kind, they are not bound to accept and apply the reasoning by which it reached that conclusion and as a matter of English law must follow and apply the decision in Sidhu. Mr. Dawson, on the other hand, contends that the court must follow and apply the decisions of the European Court. The claim falls outside the Montreal Convention and as a matter of domestic law the six year period prescribed by section 9 of the Limitation Act 1980 applies. 17. Judge Yelton dealt with the case in an admirably succinct, yet thorough, judgment. Having referred to the development of the European case law and to the parties’ rival contentions, he rejected the airline’s case as specious and illogical. He considered the principles laid down by the European Court to be clear and held that under section 3 of the European Communities Act 1972 he was bound to apply them. He did so and accepted that the claim fell outside the Convention. He therefore gave judgment for Mr. Dawson. 18. Mr. Robert Lawson Q.C. for the airline made substantially the same submissions to us as he had made to the judge below. He accepted that the court was bound by section 3 of the European Communities Act 1972 to recognise the existence of a right to compensation for delay in the terms of the European Court’s rulings in Sturgeon and Nelson, but he submitted that we were not bound to accept the correctness of the reasoning by which it had reached its conclusion. The interpretation of the Montreal Convention, including the expressions “damage occasioned by delay” in article 19 and “any action for damages” in article 29, was a matter for English law and under English law as expounded in Sidhu (which we were bound to follow) the Convention was comprehensive. It was not possible, he submitted, for a claim to exist otherwise than in accordance with, and subject to the terms of, the Convention. A claim for compensation under Regulation 261, however described, is in reality a claim for compensation for loss and damage and accordingly, if it exists at all, must, in the eyes of English law, fall within the scope of the Convention. It is therefore subject to the two year limitation period in article 35. ​19. Mr. Akhil Shah Q.C. for Mr. Dawson put forward a rather simpler argument. He pointed out that in IATA the European Court had accepted that the Montreal Convention forms an integral part of the Community legal order. Accordingly, it is for the European Court to determine not only the meaning and effect of Regulation 261 but also the meaning of the Montreal Convention and the nature of the relationship between the two. It followed that this court was bound to follow and apply both the decision and the reasoning of the European Court in relation to both matters.20. In seeking to persuade us that the judge was wrong Mr. Lawson submitted that there is an irreconcilable conflict between English law as expounded in Sidhu and the ruling of the European Court in the line of cases culminating in Moré. While accepting that we were bound to accept the existence of an obligation to pay compensation for delay in accordance with the decisions in Sturgeon and Nelson, he submitted that we were not bound to accept that a claim for compensation under article 7 of Regulation 261 fell outside the scope of the Convention. We were therefore entitled to follow our own jurisprudence in relation to the question of limitation and indeed bound to do so. ​21. I have much sympathy with Mr. Lawson’s submission that the decisions of the European Court in IATA, Sturgeon and Nelson have imposed on airlines obligations that are inconsistent with the terms of the Montreal Convention as that instrument has been understood and applied in this country and indeed in many other countries around the world. It is quite clear from the decision in Sidhu that in the view of the House of Lords the Convention was intended to be an exclusive statement of the carrier’s obligations and that any claims that might be made against a carrier are subject to its terms, including the two year limitation period. I also accept that Sidhu represents the view of English law of the meaning and effect of the Convention. However, it remains the case that the Convention provides an exhaustive code only in relation to matters falling within its scope. ​23. In the present case, by contrast, the relationship between Regulation 261 and the Montreal Convention is central to the question whether the claim for compensation falls within the scope of article 35. It also concerns an aspect of the Community legal order, including the relationship between two Community instruments and is therefore one which, as Lord Toulson acknowledged in Stott, raises a question of European law. Section 3(1) of the European Communities Act 1972 provides that any question as to the meaning or effect of any EU instrument shall be for determination in accordance with the principles laid down by any relevant decision of the European Court. I am cautious about accepting Mr. Lawson’s dichotomy between the rulings of the European Court and its reasoning. It is true that the formal rulings are set out at the end of the judgments and to that extent stand apart from the Court’s reasons, but the reasoning is in most cases essential to an understanding of the principles which the ruling seeks to encapsulate. In the cases to which I have referred the Court has held that the loss of time inherent in flight delay constitutes an inconvenience that cannot be categorised as “damage occasioned by delay” within the meaning of article 19 and does not come within the scope of article 29 (or, therefore, article 35): Nelson, paragraph 55. It has also held that the obligation to pay compensation for delay under Regulation 261 operates at an earlier stage than the system laid down in article 29: Nelson, paragraph 57. The Court’s decision in Moré is, of course, consistent with that analysis. Moreover, in the light of the competing arguments in that case it cannot have contemplated that national courts would resort to the Convention in preference to the domestic law of limitation. 24. In my view, therefore, we are bound to follow and apply the decisions of the European Court in relation to the nature of the claim for compensation under article 7 and its compatibility with the Montreal Convention. That includes the Court’s ruling that the obligation in question lies outside the scope of the Convention. If that be correct, the Convention has no application to it. Insofar as it is said that that involves a departure from Sidhu, it is no more than a consequence of the decisions in IATA, Sturgeon, Nelson and Moré. The European Court has ruled on the nature of the obligations created by Regulation 261 and its decisions have to be taken into account when deciding whether the claim falls within the scope of the Convention. In those circumstances I do not think it is helpful to embark on a discussion of the doctrine of precedent as it applies in the context of conflicting decisions of the House of Lords or Supreme Court and the European Court of Human Rights, to which we were referred. Apart from anything else, the statutory provisions are too dissimilar for the authorities to provide much assistance. 25. I acknowledge that other criticisms can be made of the legal regime constituted by the decisions in Sturgeon, Nelson and Moré, not least that the limitation periods applicable to claims under article 19 of the Convention and claims under article 7 of Regulation 261 will frequently differ. However, none of them seem to me to provide a sufficient justification for applying the Convention time bar to a claim of this kind. 26. For these reasons, which are essentially the same as those of the judge, I would dismiss the appeal.